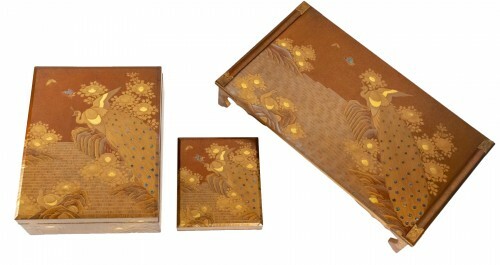 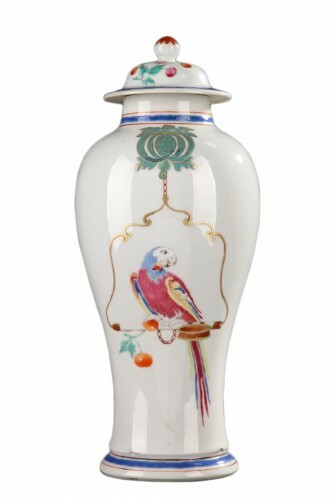 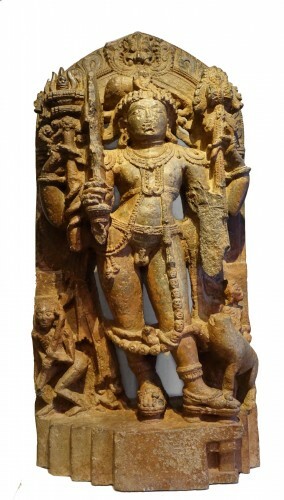 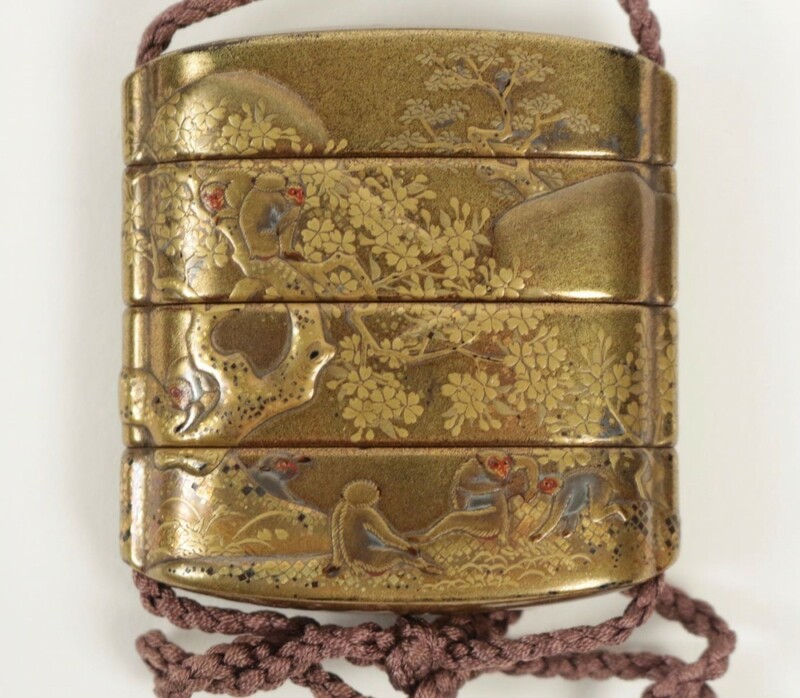 Rare 3-case inro decorated with 15 monkeys perched in trees near a waterfall. 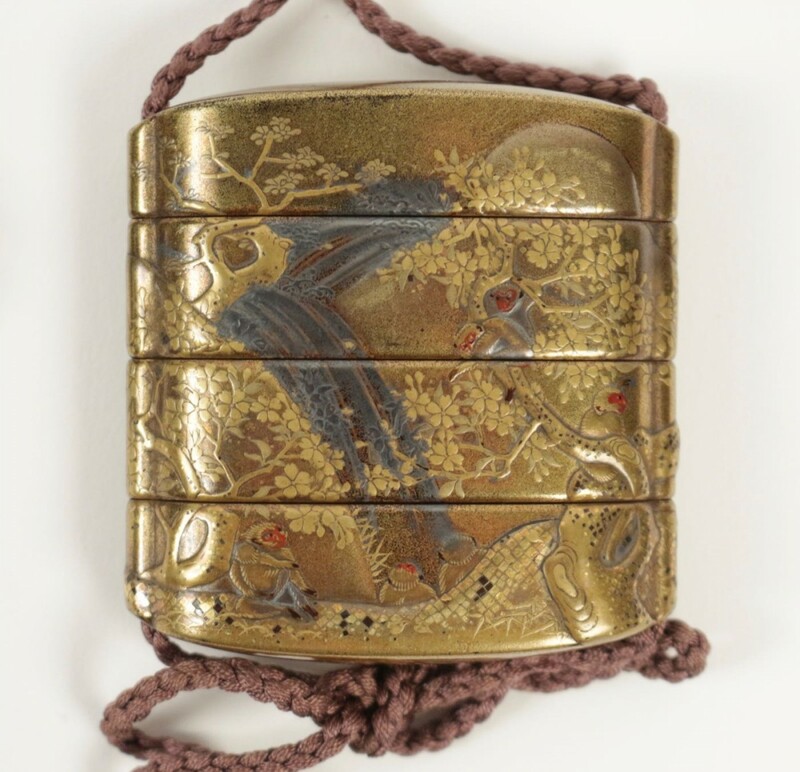 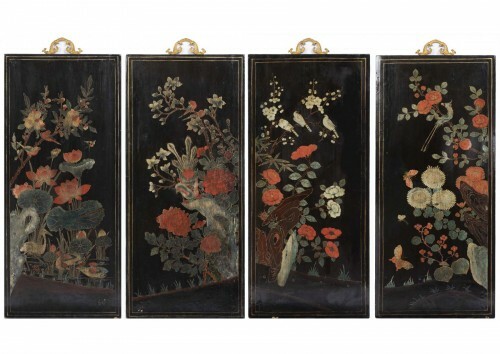 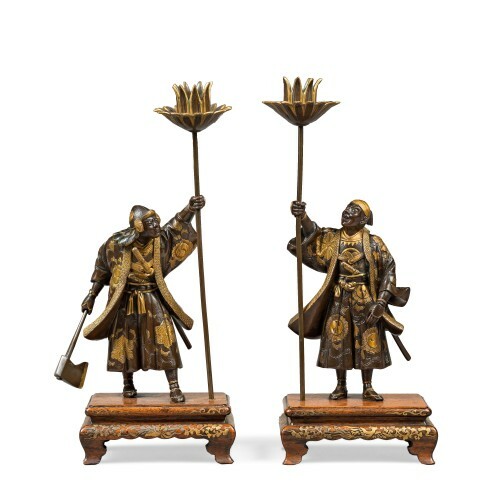 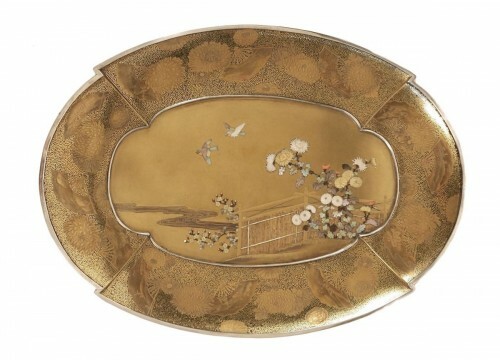 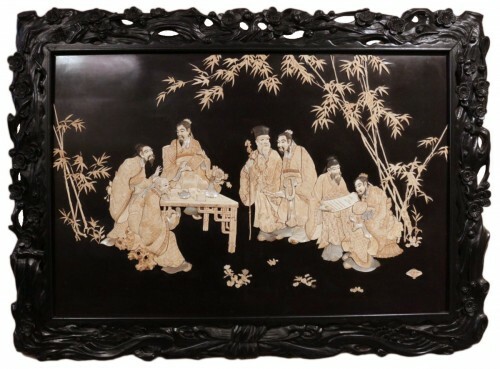 On a kin-fundame gold lacquer ground and kirigane a group of 15 monkeys with their little with polychrome faces is delicately installed among the branches and waterfall in shakudo (gold and copper alloy) on a mountain background. 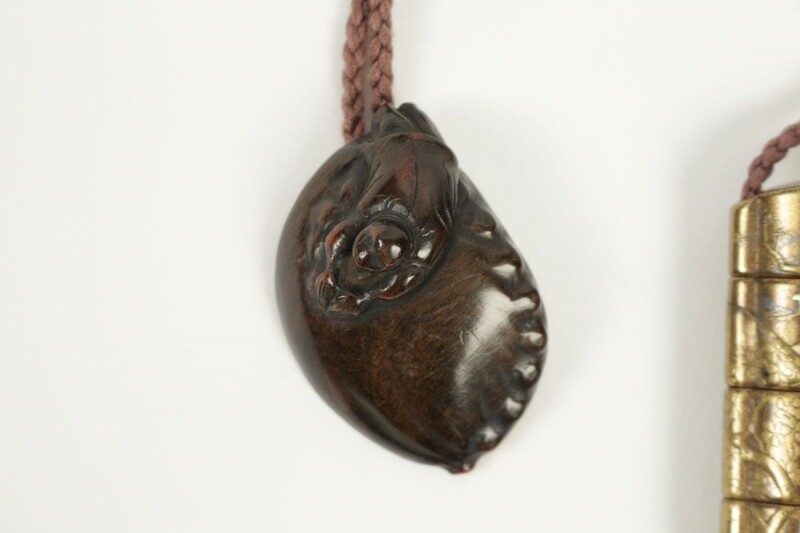 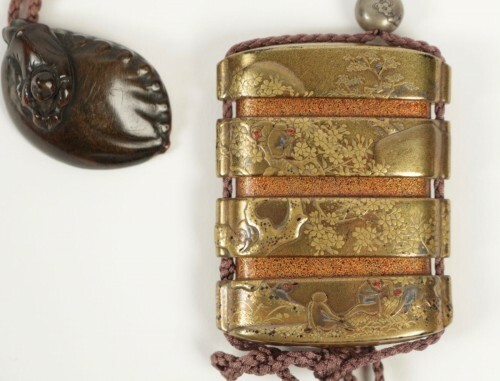 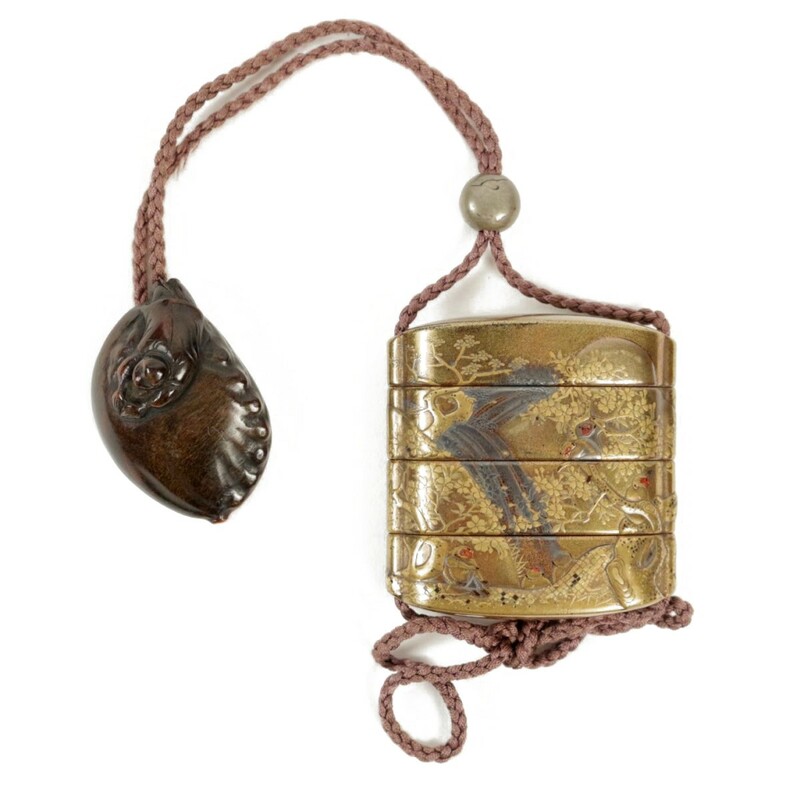 The ojime is in metal and the wooden netsuke is a monkey lying on a mollusc. Very slight wear due to age.